A Piñata in a Pine Tree is a delightful Spanish version of Twelve Days of Christmas. The only English is the first line on each page then the other items are listed in Spanish. Instead of a true love the girl receives gifts from her amiga. The pictures are colorful and capture a festive Christmas mood. The end of the book provides a glossary and pronunciation guide. 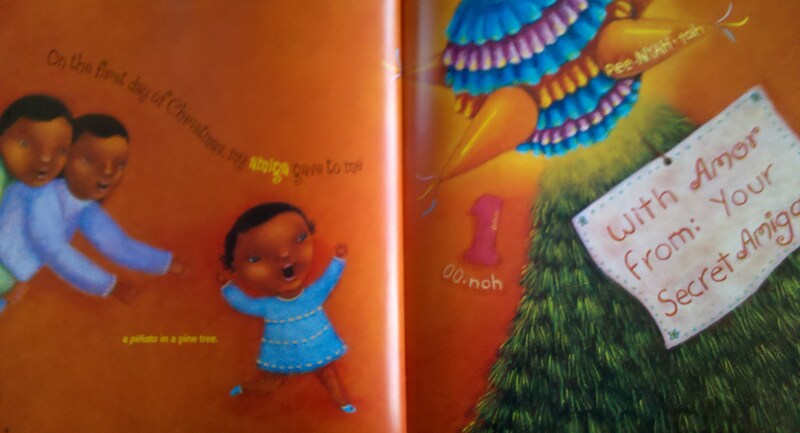 The author also highlights Latino traditions, such as luminarias (paper lanterns) with a brown bag that has a candle inside. Luminarias symbolize lighting the way for the Christ Child. Another tradition mentioned are various foods eaten, such as pastelitos (small pies or turnovers) and tamales. The illustrator explained that the Twelve days of Christmas begin on December 26 and end on January 6 when Los Reyes Magos (Three Wise Men) visit young children with gifts. I enjoyed this cultural and informative book. 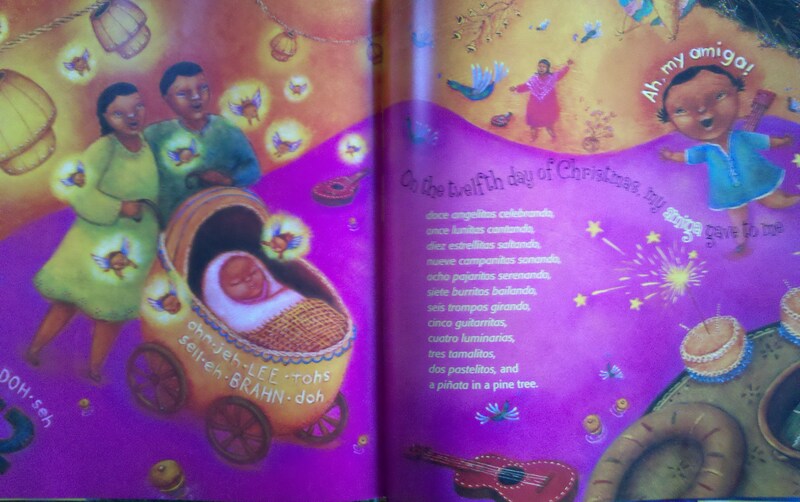 This entry was posted in Ages 4-6, Book Review, Children's Book, Holidays, Picture Book and tagged A Piñata in a Pine Tree, Book Review, children's book, Christmas, cultural, Magaly Morales, Pat Mora, picture book, postaday2011, Spanish, Twelve Days of Christmas. Have you ever wondered how exactly Santa found his perfect job? His first job was a chimney cleaner, but nobody believed he did a good job since he never got dirty. He tried his luck at delivering the mail, but nobody enjoyed getting their mail late at night. He worked at a zoo and knew when the animals were awake or sleeping, but became too attached to the reindeer. Santa and the reindeer joined the circus, but he was having too much fun getting shot from a canon. Finally, Santa stumbled onto the perfect job when he met some elves. They made wonderful toys, but it was too difficult to deliver all the toys. Santa and his reindeer are up for this challenge in this delightful book that will surely make you smile. Santa has his own system before getting ready on his big night. He checks the weather, carefully packs the sleigh, and feeds the reindeer. However, the elves believe that Santa is too slow and needs a better plan. So, one elf builds a replacement for Santa, which is machine called the Deliverator. Santa states that there’s more to his job, but trusts the elves since they make the toys. The elves have a contest between Santa and the Deliverator to determine which is faster and more productive. Santa and the Deliverator race to get ready, sort through the presents, and deliver presents down the chimney. Santa lost the contest, since he stops to eat the cookies and takes a long bubble bath before getting ready. However, situations occur when the elves need Santa to help save the busy night. 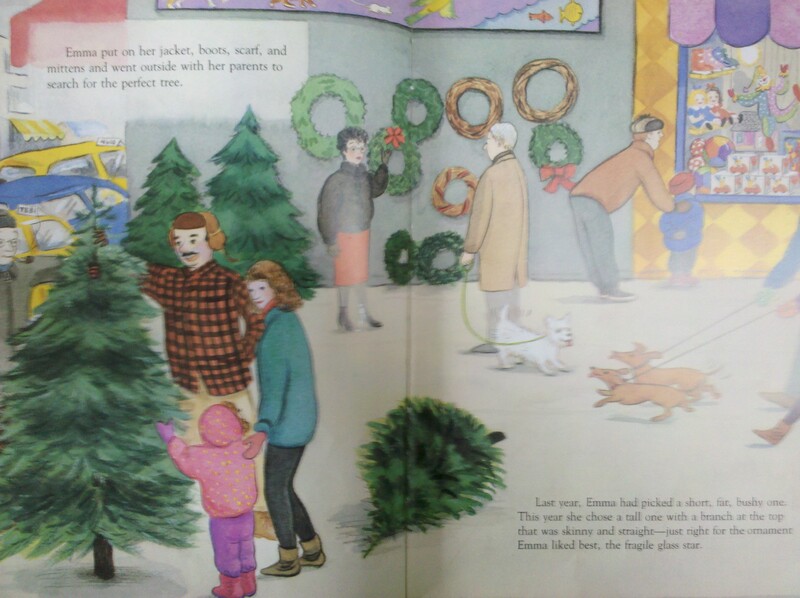 This entry was posted in Ages 4-6, Ages 6-8, Book Review, Children's Book, Holidays, Picture Book and tagged Book Review, children's book, Christmas, How Santa Got His Job, How Santa Lost His Job, picture book, postaday2011, S.D. Schindler, Santa Claus, Stephen Krensky. Are you looking for a cookie that smells delightful, has no calories, and lasts many Christmas seasons? Well, the cookie isn’t exactly a cookie; instead it’s a Christmas ornament. However, it doesn’t necessarily have to be just for Christmas, since the wonderful cinnamon smell and decorations can be enjoyed year round. This craft is a wonderful activity for young children, but remind them not to eat it. – Mix all the spices and apple sauce into a bowl. Do not add the glue. – Depending upon the dryness or moisture you may need to add more cinnamon or apple sauce. – Add a little glue and mix thoroughly. 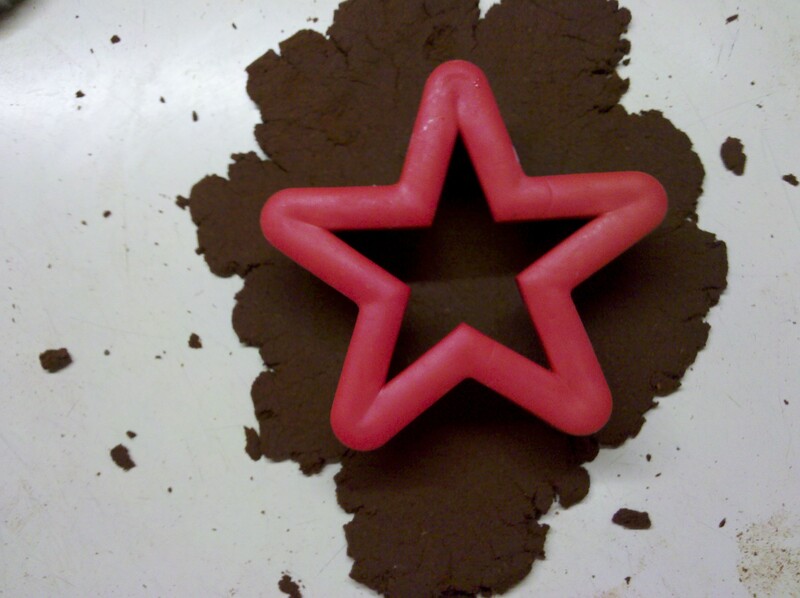 – Roll the cinnamon dough onto a clean flat surface. Use cinnamon if it becomes too sticky on the rolling-pin. – The dough should be about ¼ inch thick, so that it doesn’t break. – Cut shapes with cookie cutters. – Use a straw to put a hole for a ribbon. This needs to be done before the dough dries. 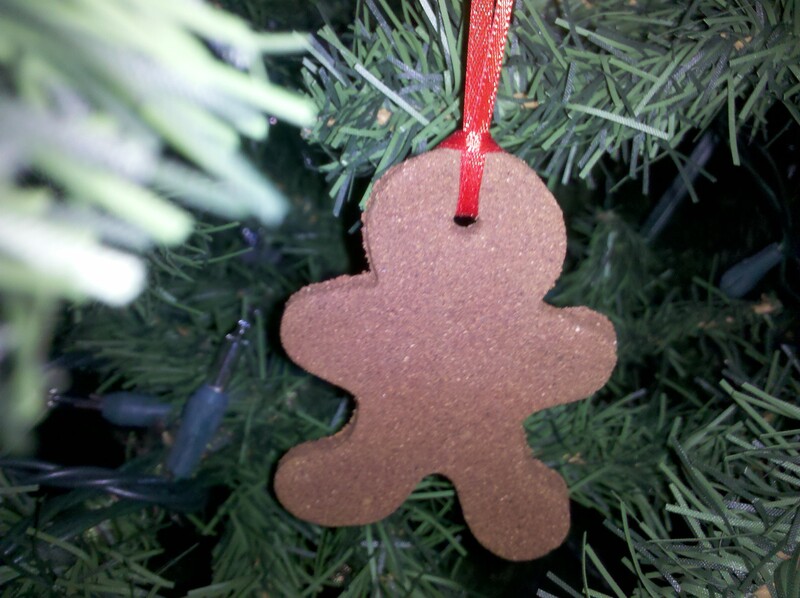 – Place cinnamon ornaments onto a ungreased cookie sheet. 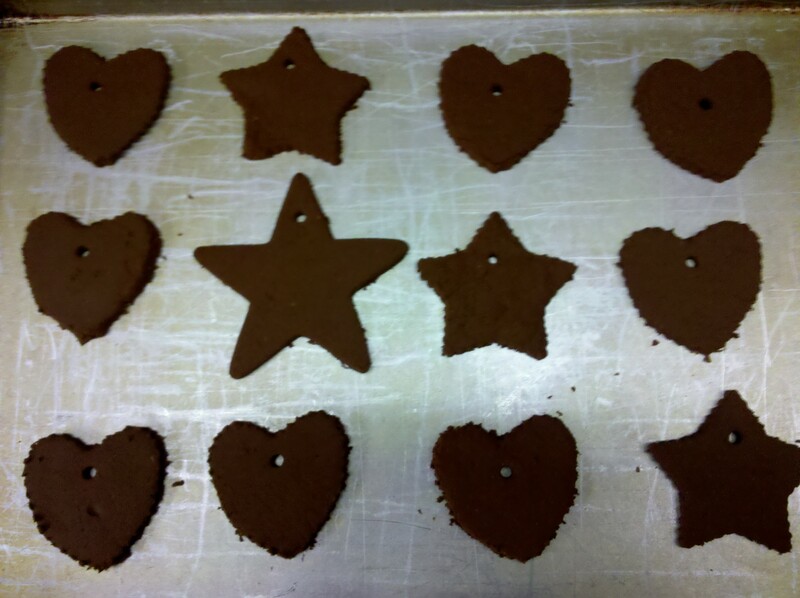 – Bake the ornaments at 200 F for about 1 ½ – 2 hours. Turn the ornaments over about every 30 minutes. If you don’t want to dry the ornaments in the oven, then put them in a dry location. They should dry in about 4 days. I baked mine and the smell was heavenly. You may wish they were cookies. – When the ornaments dry, put a ribbon through the hole. Put the ornaments upon the tree, wreath, or even attach onto a present. 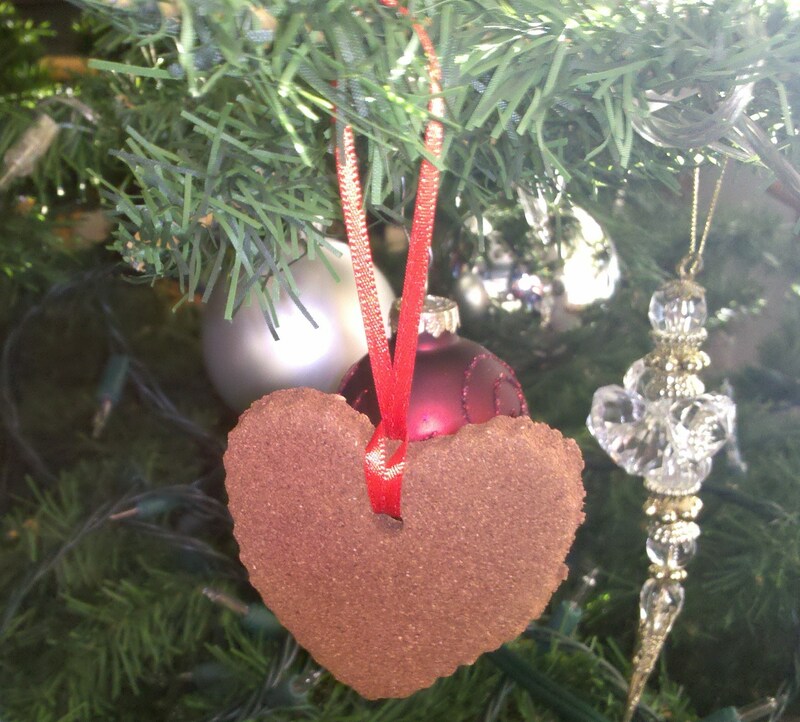 When the season is over, package the cinnamon ornaments in paper towels to keep the smell. This entry was posted in Crafts and tagged Apple sauce, Christmas, Christmas ornament, Cinnamon, Cookie cutter, craft, postaday2011. On the third day of Christmas a mademoiselle from Paris sent her true love three French hens, two turtledoves, and a partridge in a pear tree. However, there was a major problem with a smudged address because the hens never arrived to the true love. Colette, Poulette, and Fifi decide they will deliver themselves and find Monsieur Philippe Renard. They look in the New York City phone book and discover that they’re actually searching for Phil Fox. 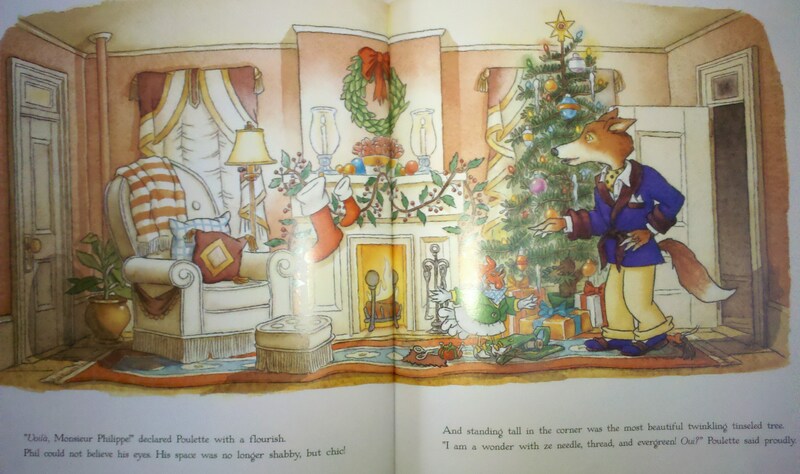 As you may have guessed, Phil Fox is a fox and hasn’t had a good meal in a month and has no friends. Phil Fox opens his door and sees his next meal. 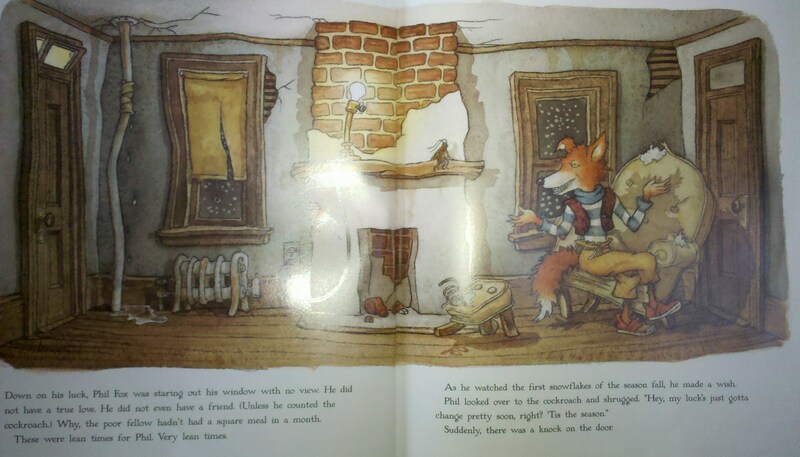 Before he realizes it, the French hens have bathed him, decorated his house, and cooked delicious food. 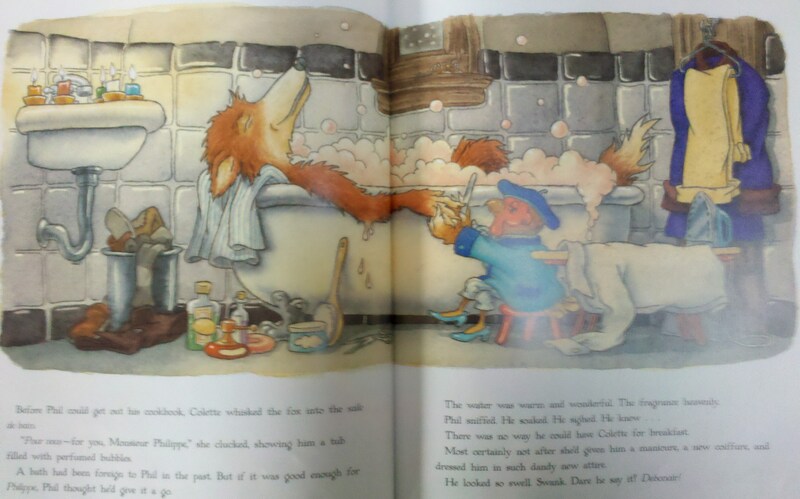 Phil Fox feels somewhat guilty, because he’s not who they think he is and isn’t even French. Colette, Poulette, and Fifi don’t care at all and like their friend just as he is. Phil Fox is touched that the French hens consider him a friend. A great friendship forms between three French hens from Paris and Phil Fox from the Bronx. 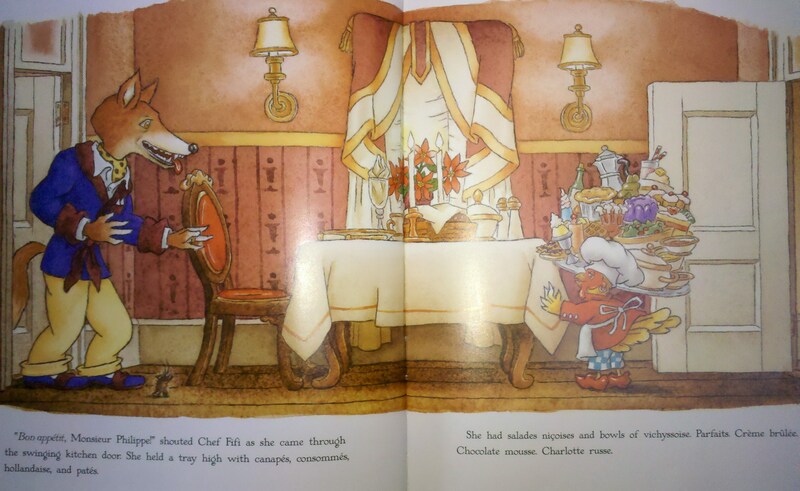 This entry was posted in Ages 6-8, Ages 8-10, Book Review, Children's Book, Holidays, Picture Book and tagged Book Review, children's book, Christmas, humorous, Margie Palatini, picture book, postaday2011, Richard Egielski, Three French Hens, Twelve Days of Christmas. Will Martin lost his parents at age four due to a car accident and his grandparents raised him as their own in a small town. When Will’s grandfather died he left his busy life in New York City and returned home to manage his grandfather’s business that lacked technology and where a firm handshake was worth a signature. His grandparents wrote in journals every year that they didn’t share until death. His grandmother tells Will that she’s been reading the journals and discovered that when Will and her went on their traditional shopping trip on Christmas Eve, her husband secretly saw a woman named Lillian. His grandmother’s Christmas wish is to discover who Lillian is and why her devoted husband never mentioned the name. Will learned more about his grandfather from others in town as he attempts to discover information about Lillian. Will also grew as a person as he respects the business, town, and realizes who the real Will is. 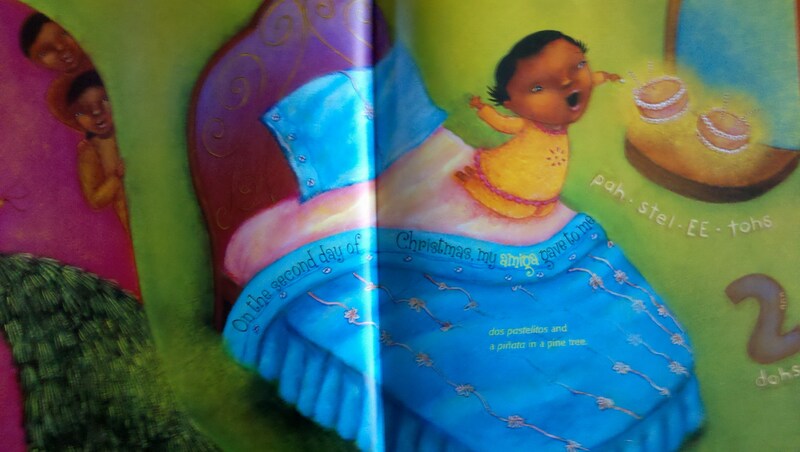 The Christmas Wish was a fast read with a wholesome and inspiring message. It had a Hallmark or Lifetime movie feeling and my prediction was correct after reading other book reviews. I never saw the movie version, but I’m sure it’s a nice Christmas ‘feel good’ movie. 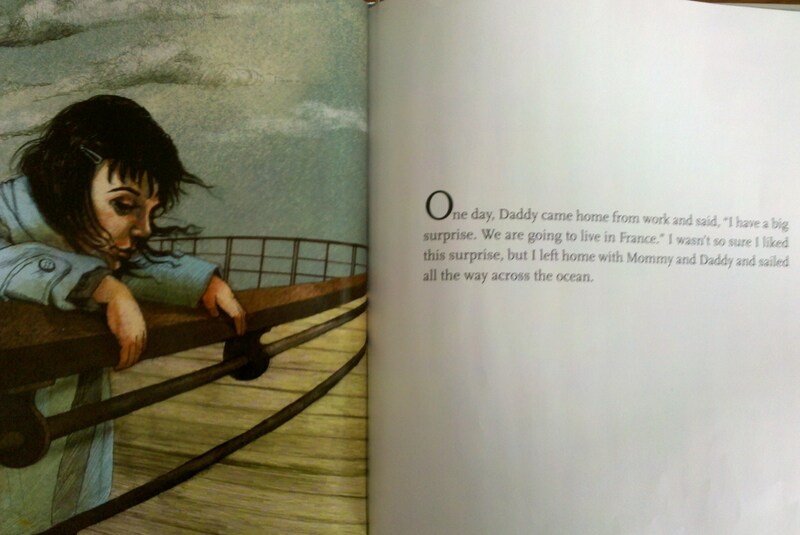 The mystery of who Lillian is may be easy to guess after a while, but it’s still a meaningful book. This entry was posted in Book Review, Fiction, Mystery and tagged Book Review, Christmas, mystery, postaday2011, Richard Siddoway, The Christmas Wish. 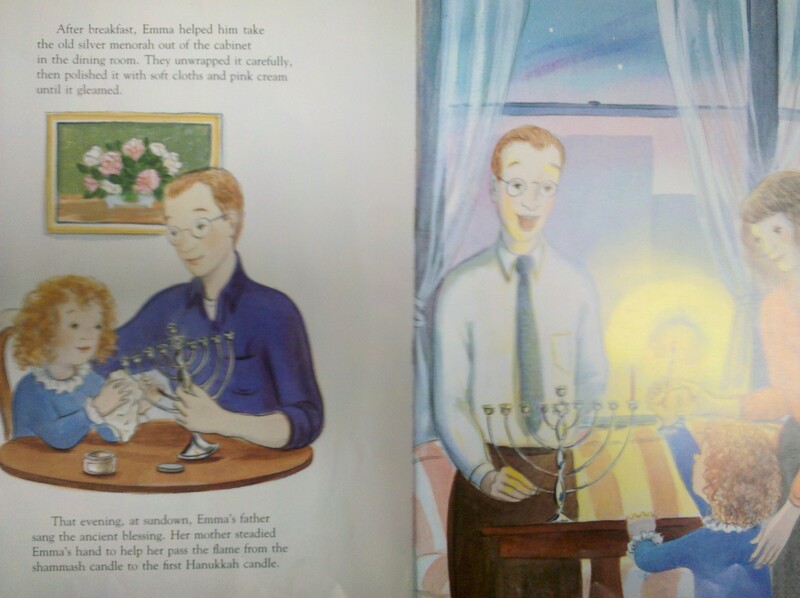 Emma’s family celebrates both Hanukkah and Christmas. 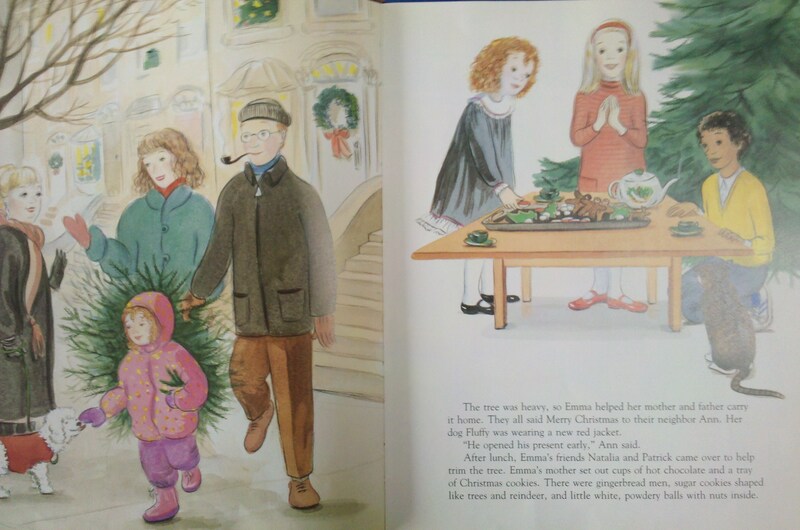 The holiday religions aren’t mentioned, but the book highlights the family’s traditions during the holiday season. 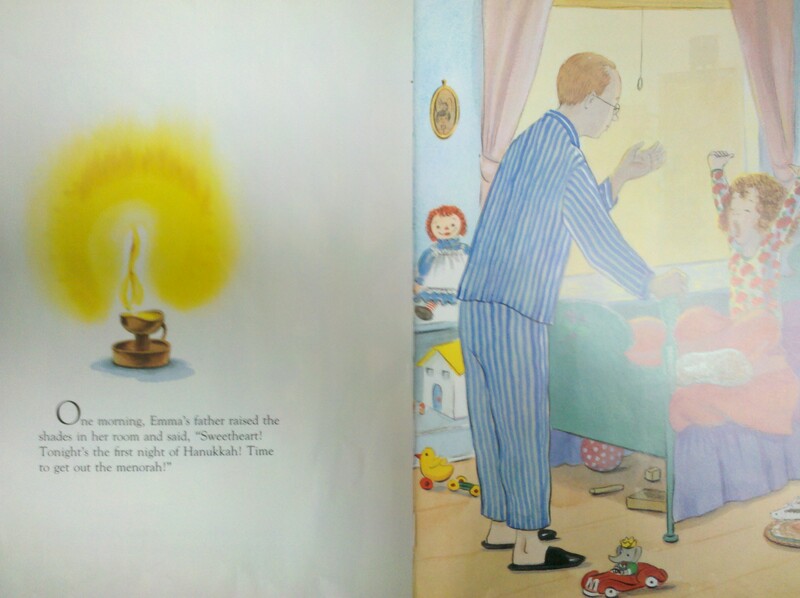 The book begins with Emma helping unpack and clean the menorah. They light the lights each night and set the menorah near the window for everyone to see. The children play dreidel, exchange Hanukkah gifts, and taste latkes. Soon the family picks a Christmas tree and decorate it with friends. They light the lights upon the Christmas tree as the tinsel and lights shine. The season ends as Emma helps put away the Hanukkah menorah and Christmas decorations inside the same box. I enjoyed this book, because not many books highlight families that celebrate different holidays. I like the book’s title Light the Lights!, since each holiday has its own version of lights that brighten the dark winter nights. This book can especially be a welcome for families that celebrate various religions in the household. 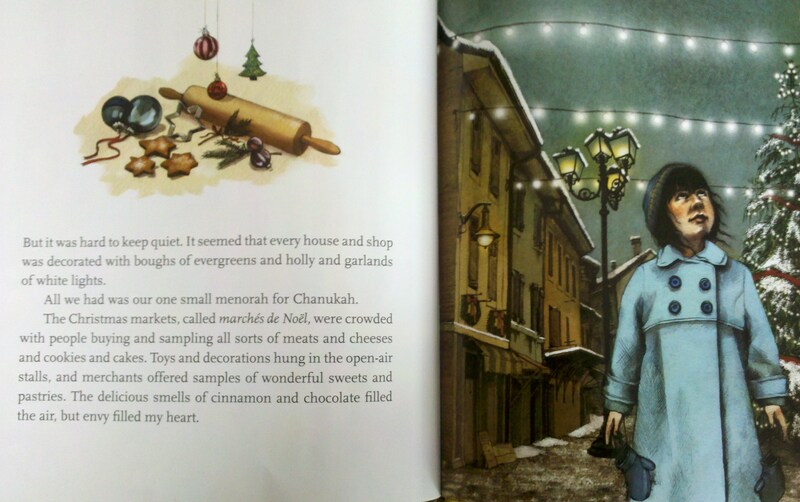 This entry was posted in Ages 4-6, Ages 6-8, Book Review, Children's Book, Holidays, Picture Book and tagged Book Review, children's book, Christmas, Hanukkah, interfaith family, Light the Lights: A Story about Celebrating Hanukkah & Christmas, Margaret Moorman, picture book, postaday2011. Charlotte’s family moves to France and she’s not happy since everything is different and she’s called a foreigner. She’s placed in a lower grade and her mother tells her that she’ll catch up when other’s have their holiday, which is Christmas. Charlotte doesn’t want to study hard while others celebrate. Her mother reminds her that they’re Jewish and celebrate Chanukah. She feels left out, since all over there are Christmas decorations, treats, and toys. Her class has a holiday party and a classmate, Colette, who teased her states that she forgot a gift for the trade. Charlotte believes it’s silly that she forgot until she learns that Colette is poor and can’t afford a class Christmas gift. 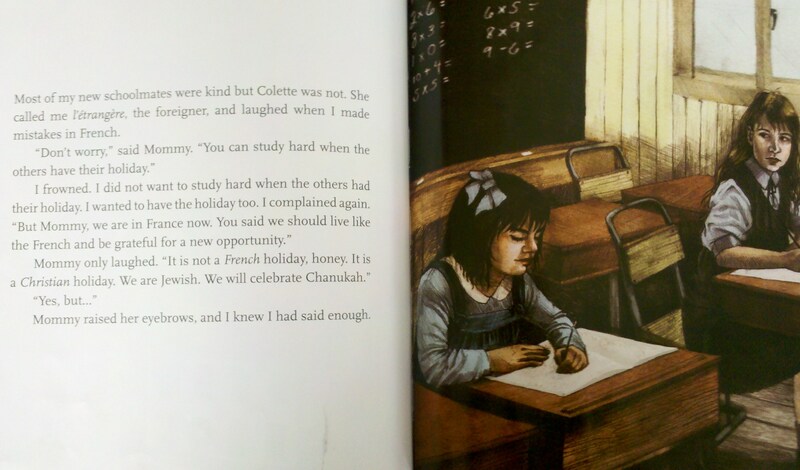 Charlotte thinks of an idea to bring a hint of Christmas while celebrating Chanukah. Charlotte’s family help provide Christmas for Colette’s family with food and gifts. I thought this was an enjoyable book that highlights that even though individuals may celebrate different holidays, the spirit of generosity remains the same. Charlotte didn’t exactly celebrate Christmas herself, but she learned that a good deed forms friendship and cheers others. A Chanukah Noel can be especially helpful if a family celebrates more than more than one holiday. 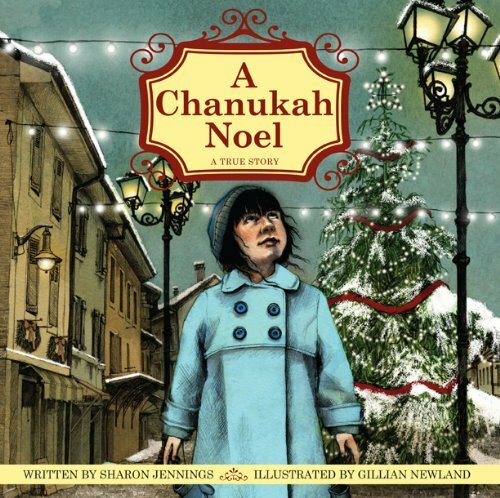 This entry was posted in Ages 8-10, Book Review, Children's Book, Holidays, Picture Book and tagged A Chanukah Noel, Book Review, children's book, Christmas, Gillian Newland, Hanukkah, picture book, postaday2011, Sharon Jennings.